You’re Invited to a Great Big Walk! Marian and I are taking a walk. A Great Big Walk. We want you to come along in any way you can…walking, rolling, slowly, quickly, running, jumping, singing…any which way that, gets you, or keeps you moving. We’ll be walking, hiking, trekking, and climbing our way across approximately 600 kilometres of the High Himalaya in Nepal. We’ll start our Great Big Walk in Taplejung, Nepal on March 5 and head for Kanchenjunga Base Camp and the Eastern Terminus of the Great Himalaya Trail (on the border with Sikkim). The Great Himalaya Trail is a series of trails, routes, and primitive paths that allow adventurous folks to walk/climb/trek the entire length of the Himalayas in Nepal. There is a high route and a lower route. We’ll be taking the high “road,” and over the course of our 65 days on the trail, we’ll gain more than 25,000 metres in elevation and take nearly a million steps! We’ll cross four regions: Kanchenjunga, Makalu Barun, Everest, and Rolwaling. We’ll finish our walk near the highway that links Nepal to Tibet and head back to Canada on May 9th just in time for me to teach summer semester. We want you to follow along as we complete our Great Big Walk! Each day, we’ll post our location, do an audio update on the day’s adventure, and share all that we are learning about the incredible landscapes and cultures we are traveling through. We’ll also report the number of steps we’ve taken, kilometres walked, and elevation gained in hope that you’ll take some steps, cover some kilometres, and climb some hills wherever you are in the world. That’s right, we want you to walk along with us! We’re hoping that we can all walk together and share in the physical and mental health benefits of some good walks (big or small, long or short). You can join the Great Big Walk on the Walkabout Website if you would like to log your steps along with us. There will also be social studies/physical education/geography curriculum that gets served up here for schools during each day of the Great Big Walk. 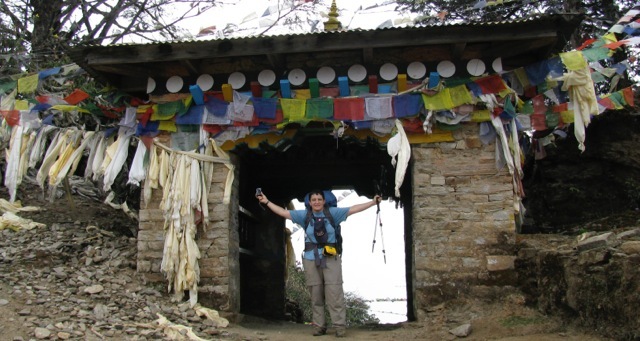 This entry was posted in Everest 3.0, Great Big Walk, Great Himalaya Trail and tagged 2014, climb, GHT, Nepal, trek. Bookmark the permalink. 2 Responses to You’re Invited to a Great Big Walk! Sounds like a plan… I’ll be on a cruise ship for part of your journey, but I will walk along every day and check out your posts! Terrific…it will be great to have you along!